Johannesburg - the heartbeat of the country. 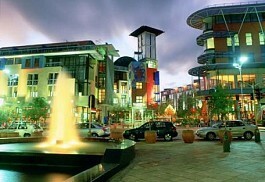 It's the economic and cultural centre of South Africa, where people work hard and play harder. Everyone is on the move, from doing business to hitting the city's nightspots until late. Johannesburg is a dynamic cosmopolitan city with great places to eat, interesting sites to visit and a good range of places to stay. 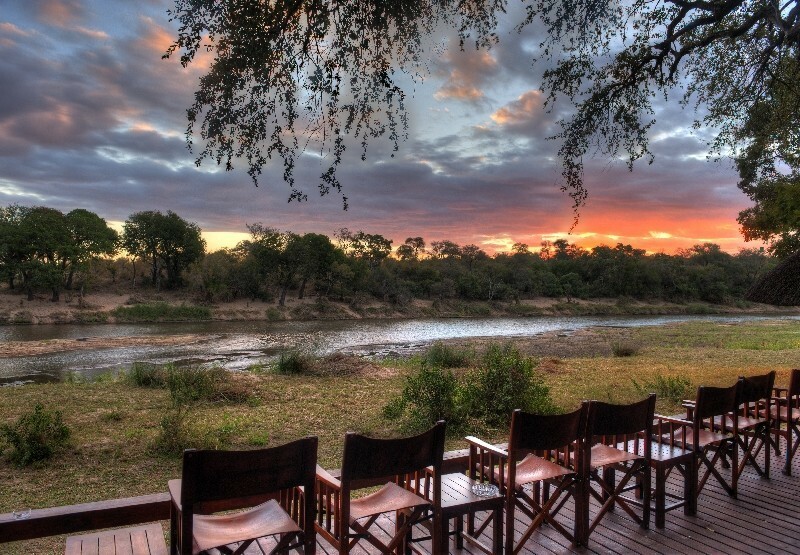 Johannesburg is a friendly vibrant cosmopolitan city offering visitors a hive of entertainment as well as a variety of tours and excursions to enjoy. Johannesburg is known as the heartbeat of the country as well as the economic and cultural hub offering fine restaurants as well as a historical and cultural experience combined with a wide range of accommodation from ultra luxurious five star hotels to quaint guest houses. 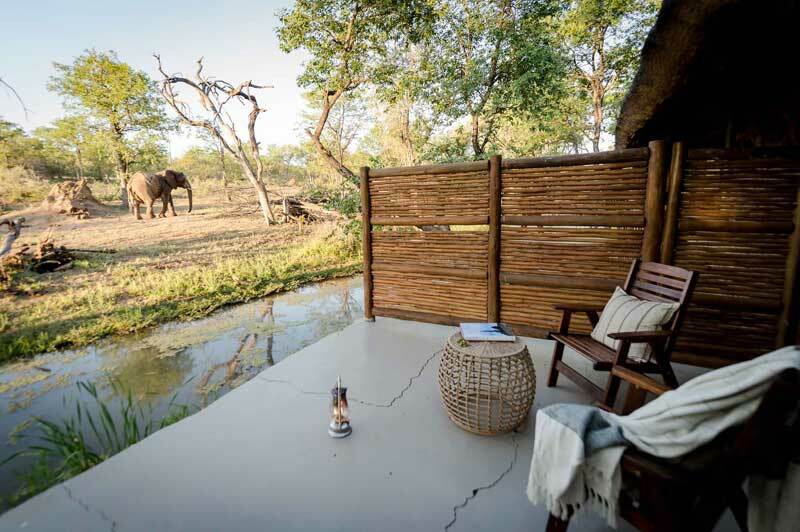 Johannesburg is a busy stop-over for business guests as well as leisure guests heading off on a safari into the Kruger National Park or Botswana or elsewhere in and around Johannesburg wherever their holiday or safari might take them. 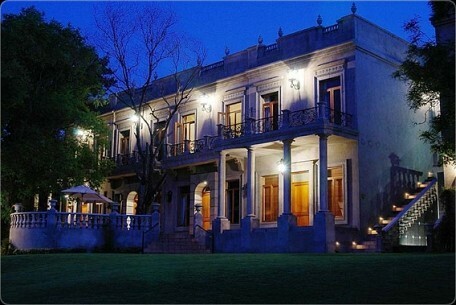 Johannesburg offers legendary attractions including the suburb of Soweto, the Apartheid Museum, the Gold Mine, Johannesburg Zoo as well as Constitution Hill and many more. 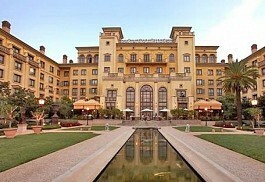 The Four Seasons Hotel The Westcliff Johannesburg offers an exclusive location in Johannesburg's most upmarket residential suburb. 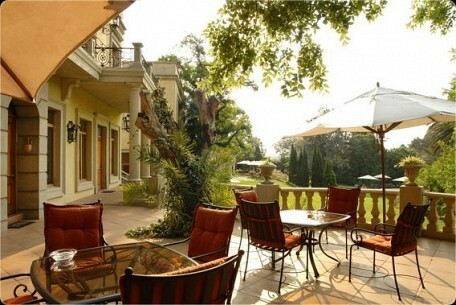 The hotel grounds offer sculpted gardens and guests can enjoy luxurious accommodation reminiscent of a bygone era of romance and charm. 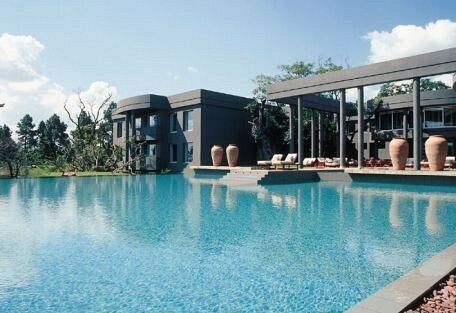 The Saxon Boutique Hotel & Spa is a five star award winning hotel situated in six acres of beautiful landscaped gardens in the upmarket suburb of Sandhurst. 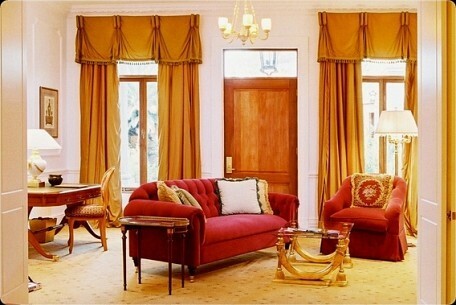 The Saxon is known for its luxury and charm and offers exclusive accommodation in 24 spacious and elegant suites. 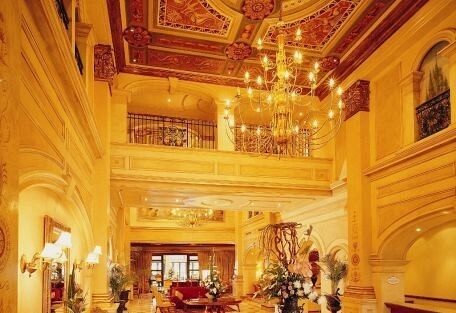 D’oreale Grande in Johannesburg offers the ultimate in five star luxury; situated at Emperors Palace, it charms with marble floors and plush carpets, creating the ideal ambience for a perfect stay. 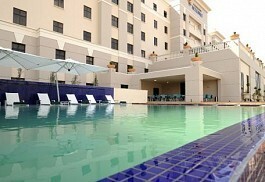 Melrose Arch Hotel offers luxury and style and Africa's first truly trendy 5-Star Hotel. 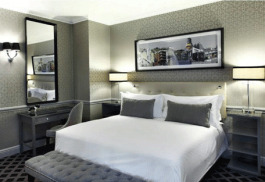 Through modern architecture and a unique design, the Melrose Arch Hotel has become an international destination in its own right. 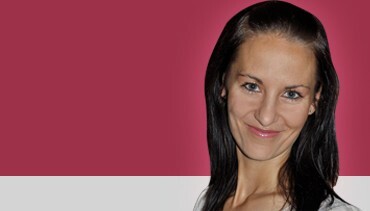 54 on Bath is the new name for what used to be The Grace Hotel in Rosebank. Discover a contemporary and fashionable haven on Bath Avenue right in the heart of Rosebank, Johannesburg’s trendy suburb. The Michelangelo Hotel is a member of the Leading Hotels of the World and offers guests five star luxury and service excellence. 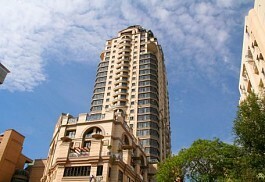 It is situated in Sandton Square in the heart of Sandton. 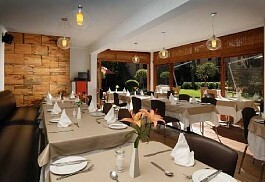 Accommodation is ultra luxurious cuisine ultra gourmet. 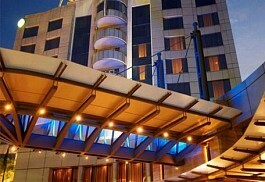 InterContinental Johannesburg OR Tambo is situated within walking distance from the airport terminals. Guests can enjoy luxurious airport accommodation meeting the needs of business guests as well as leisure guests requiring an overnight stop. 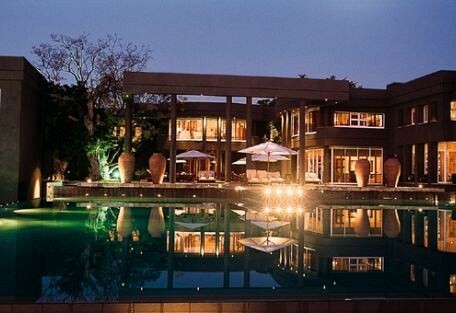 The Fairlawns Boutique Hotel and Spa offers privacy and exclusivity in the heart of the trendy and up-market suburb of Sandton. 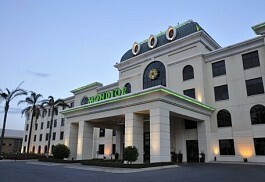 The hotel offers a convenient location for business guests or leisure guests alike. 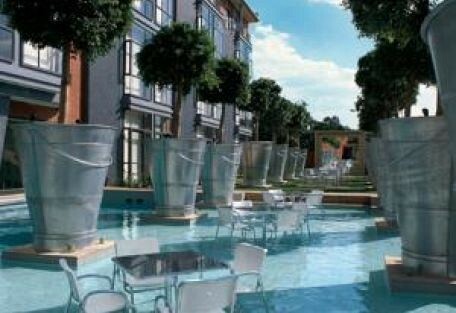 The Palazzo Montecasino promises modern facilities and five star luxury; linked by an open-air walkway to the spectacular Monte Casino Entertainment complex offering a selection of Restaurants, Retail Shops, Cinemas, Theatres and Casino. 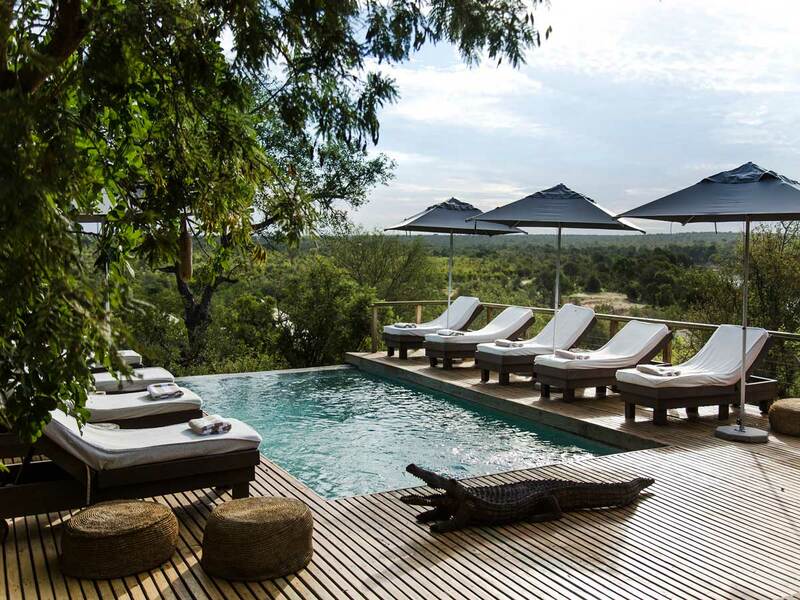 Zulu Nyala Country Manor offers a twist of bushveld and modern hospitality in the city of Johannesburg. Country Manor if situated in the delighted farm area, Chartwell, ideal for conferencing, business trip, holidays, and business trips. 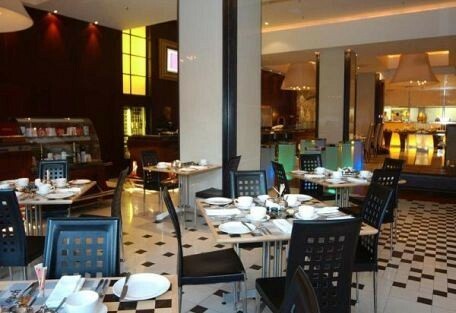 The Peermont Metcourt Hotel at Emperors Palace offers 3-star modern convenience. The rooms are comfortable and spacious and room facilities include LCD flat screen TVs, satellite DSTV channels in all languages, secure internet connections and a safe. 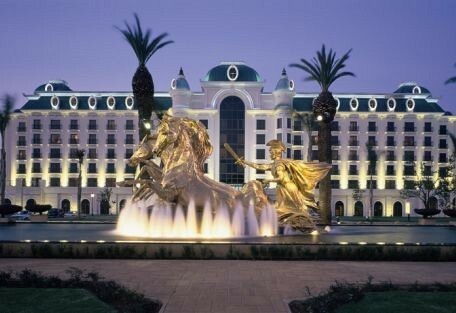 Mondior at Emperors Palace offers world-class business, conference and leisure accommodation. Guests can enjoy 4-star luxury offering the highest in standards at an affordable rate. 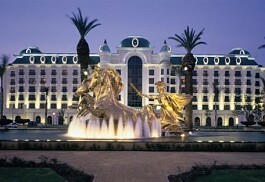 The Mondior at Emperors Palace offers a large variety of entertainment. 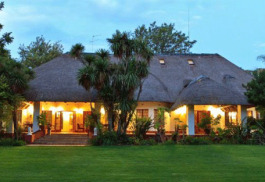 Sun Safaris can arrange scheduled flights for guests from most major airports to Johannesburg International Airport (O.R. Tambo International Airport - ORTIA). 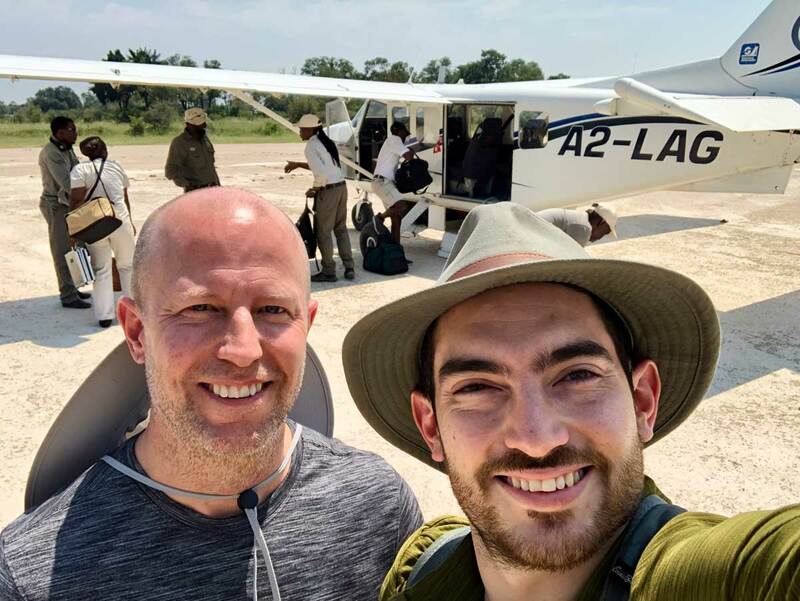 Once guests arrive in Johannesburg, they can either catch a connecting flight onto Cape Town, Durban, George or Port Elizabeth or take a road transfer or enjoy a self-drive holiday from here, all serviced can be booked by Sun Safaris. KMIA - Kruger Mpumalanga International airport is the gateway to the famous Kruger National Park and daily flights operate from Johannesburg's OR Tambo International into the Kruger National Park. 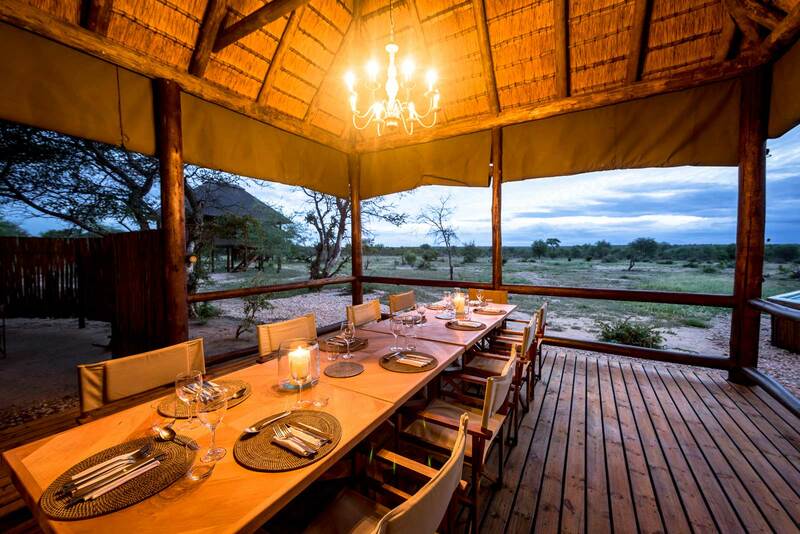 Johannesburg and the surrounding areas offers the ideal safari and holiday self-drive destination and SUNSAFARIS can arrange a rental car for visitors once they arrive. Driving around Johannesburg is easy and all the major highways are tarred and in good condition. The drive time to and from Johannesburg will depend on where you are driving to/from. Johannesburg offers some of the world's best climates with sunny summer days with very little wind and winter days are pleasant with clear skies. Johannesburg offers a mild climate, neither humid nor too hot. The winter months are from July to August and early mornings and late evenings can be chilly, however the days are pleasant and warm.